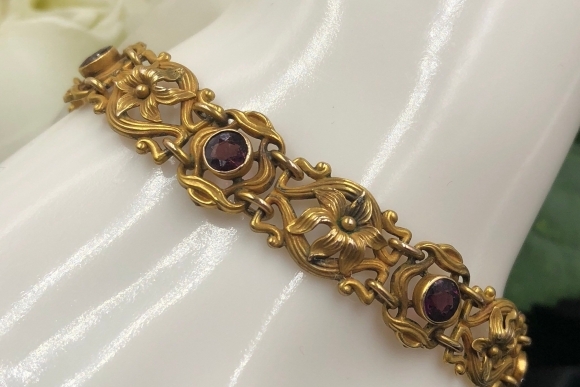 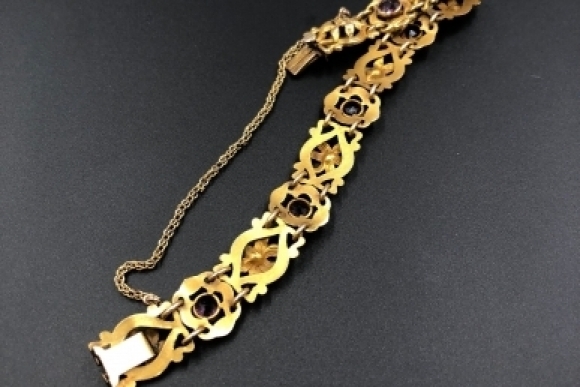 This exquisite Art Nouveau 14K yellow gold and amethyst floral bracelet is ultra feminine! 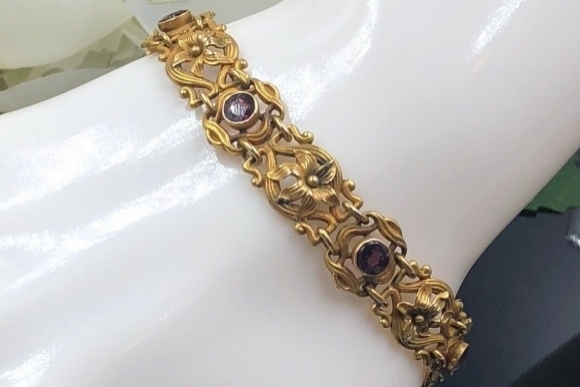 Bezel set with six 4.5mm round Old European cut purple amethysts. 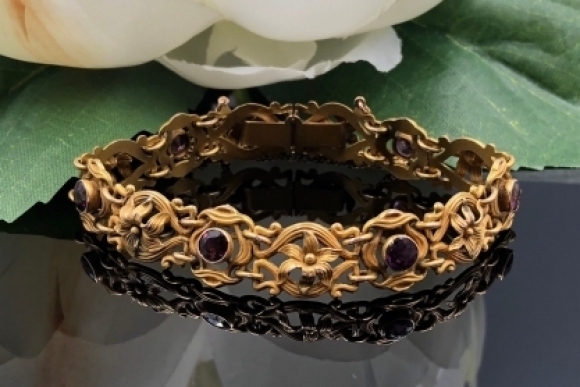 The bracelet features variations of the iconic whip lash curve used in Art Nouveau and beautifully rendered six petaled flowers. 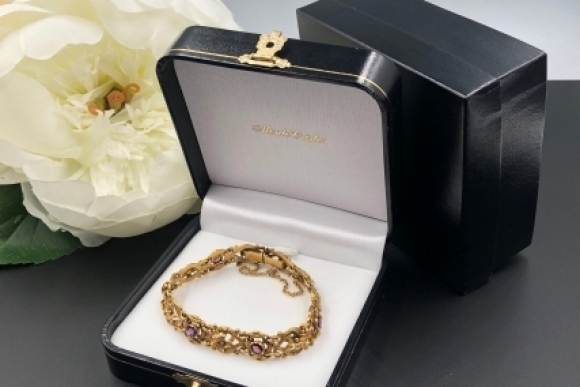 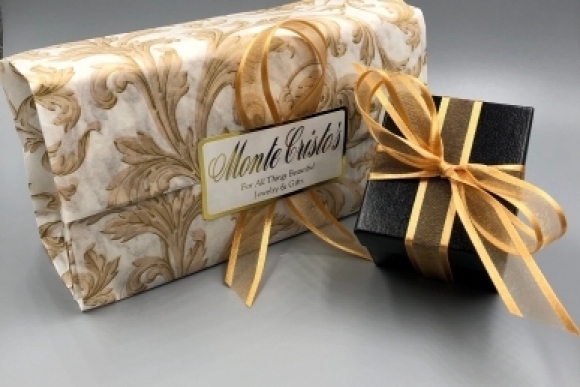 The bracelet is secured by a box clasp with a 3 3/4" safety chain for added security. 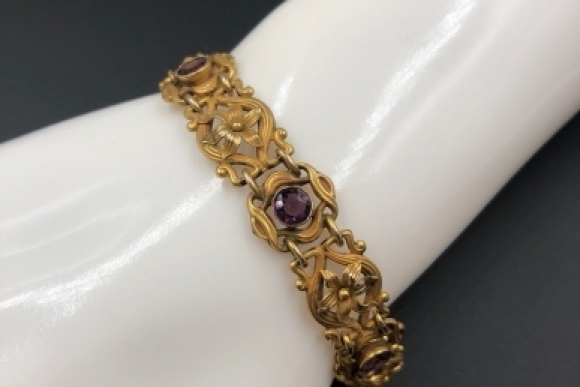 Amethyst is February's birthstone, and the gem that honors the 6th and 33rd wedding anniversaries. 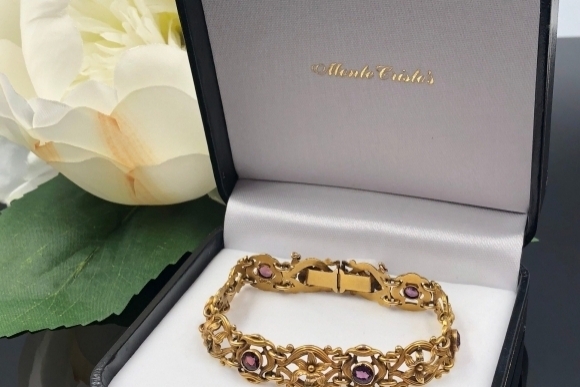 The bracelet is unstamped, but I have tested and confirmed it is 14K gold. 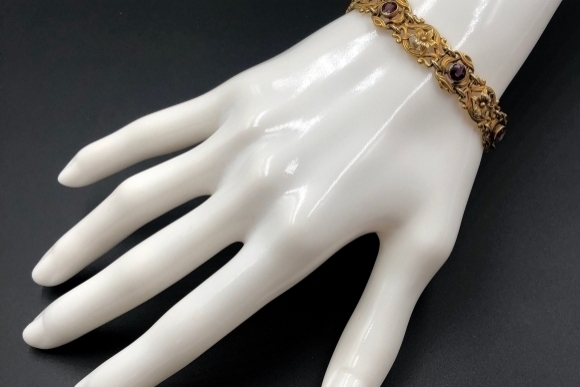 The bracelet measures 7/16" in width and 6 3/4" in length. 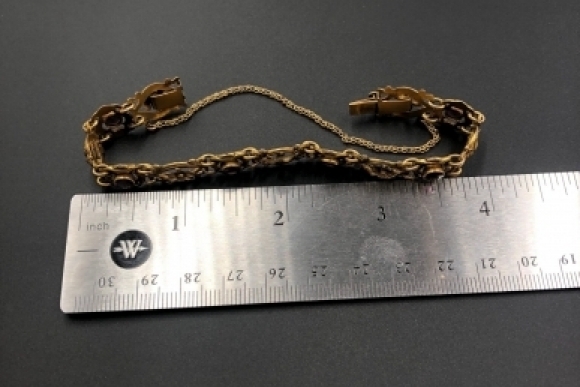 The bracelet weighs 11.5 grams.